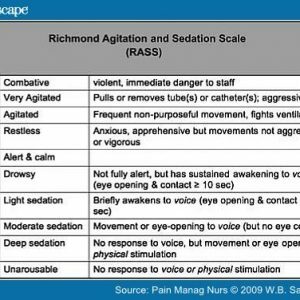 Below are links to sample anesthesia/sedation consent forms and discharge instructions. The comment period has now ended for the second revision of the proposed ADA Guidelines for the Use of Sedation and General Anesthesia by Dentists as well as for Teaching Pain Control and Sedation to Dentists and Dental Students. The ADA should be applauded for regularly updating these important documents which impact all dentists who provide sedation and/or general anesthesia. I find some of the proposed revisions quite interesting. I see some trends, however, that may not fit well with the unique form of sedation/GA that is practiced in the North American dental office setting, the predominant practice venue for readers of Anesthesia Progress. Currently, I work exclusively in a Joint Commission (JC)-accredited ambulatory surgery center (ASC) providing anesthesia mainly for oral and major maxillofacial surgery. I have provided sedation and general anesthesia in the hospital, dental school, and private dental office settings as well at various times in my career and am acutely aware of the different practice nuances of each setting. Many of the proposed changes to the Use Guidelines seem to be taken directly from the JC Standards for ASCs and may not be applicable to the dental office setting. For example, for all levels of sedation and general anesthesia, there is a proposed requirement for patient evaluation “within the previous 30 days” but only in certain circumstances “immediately before the procedure.” This is presumably taken from Joint Commission standards that require a physician history and physical examination within 30 days of surgery, with review within 7 days of the procedure to ensure no interval change. This is completely impractical and not applicable in the dental setting. If, for instance, a patient were seen 31 days prior to sedation, they would need to come in for another pre-operative appointment to review the medical history so that sedation or general anesthesia could be performed. Also for the independent anesthesiologist coming into the dental office to provide sedation or general anesthesia, they could not reasonably meet this requirement, nor are hospitals required to do it for ambulatory patients! And what of the emergency patient who requires sedation/GA for a tooth extraction and is already NPO? What is appropriate in the dental office setting is a requirement that patients considered for sedation/GA must be suitably evaluated prior to the start of any sedative/GA procedure. Pre-operative temperature evaluation is also a proposed ADA requirement as it is for JC-accredited ASCs and hospitals. Body temperature does not need to be evaluated in asymptomatic ambulatory dental patients to supplement the other baseline vital signs. Do all healthy 18-year-olds for third molar extraction under deep sedation need to have their temperature taken pre-operatively? Certainly, if the patient appears febrile or exhibits signs of significant oral infection, this is reasonable. Intra-operative and postoperative hypothermia is a concern but will pre-operative temperature evaluation change the anesthesia plan? For those patients who are administered agents that could precipitate malignant hyperthermia, intra-operative temperature monitoring is essential and currently required. Again, this requirement for pre-operative temperature taken directly from the Joint Commission is not applicable to the dental office setting unless indicated by other history and physical examination findings. The proposed Guidelines also mimic the JC standards by recommending a maintenance log as well as documentation of both pre- and postprocedural checks of equipment to administer sedation. For those GA providers who utilize general anesthesia machines, the preprocedure check of our equipment is imperative. This ensures that there is an adequate secondary source of oxygen connected to the machine, that our new circuit does not leak and can deliver positive pressure oxygen, that our ventilator is functioning, etc. Subsequent checks for other patients involve only the circuit and positive pressure capability. But why should the vast majority of dentists or oral surgeons who utilize a dental nitrous oxide machine be required to perform a pre-operative equipment check for every patient after regularly checking the unit daily or weekly? And does this need to be documented for each patient? Certainly, the flow safe/fail safe check can cause room exposure of nitrous oxide and is difficult when quick disconnects do not allow fail safe to be tested easily. And why is there a postprocedure check? I cannot recall any case in recent memory with an adverse sedation outcome where a long-standing dental nitrous oxide unit (assuming no recent office renovation took place) was the reason for patient harm. What does make more sense is to ensure that the source of positive pressure oxygen, such as the bag-valve-mask device, is functional and a sufficient supply of oxygen is available. Most dental nitrous oxide machines are not capable of delivering positive pressure ventilation. While no one would argue with carefully checking any piece of equipment prior to its use in the dental office, these documentation rules designed for general anesthesia machine users are not necessary for this type of equipment once its use has been tested at installation and periodic maintenance as recommended has been performed. Interestingly, some items found in the JC standards have been omitted from the proposed Guidelines such as a required pregnancy test prior to any sedative/GA procedure. Some screening to ensure that women of child-bearing age are not likely to be pregnant, whether verbal or via common urine testing, might have been a reasonable requirement that could impact patient safety. This is particularly true as most dental/oral surgical procedures are elective. A positive beta-HCG test or other screening would result in cancelling an elective case for good reason whereas some of the other proposed changes would do so as well but without any impact on patient care. It appears that many of the proposed changes are not evidence based but rather based on hospital/ASC requirements. The dental office sedation patient is different from the hospital where all patients regardless of health status receive surgery, or the ASC where only the sickest patients are not treated. Dental office sedation providers have the luxury of picking and choosing the patients that will be sedated in their own offices. Alternatively, they can bring in a dentist anesthesiologist or other anesthesia providers to help them with more complicated patients or refer the patient to a hospital dentist. Importantly, the vast majority of our procedures involve minimal, if any, blood loss or fluid shifts. Likewise, our procedures can generally be provided under high quality local anesthesia, minimizing the sedative/GA drugs we need to provide. For patients with significant health concerns, the dentist or oral surgeon commonly chooses benzodiazepines and opioids as primary sedatives, which tend to improve cardiovascular parameters and increase the safety of dental/oral surgery procedures, particularly for anxious patients. I believe we must and should change our guidelines to maximize the safety of dental patients receiving sedation/GA. As opposed to the proposed changes above, what has been shown to be of benefit are checklists to ensure that all safety equipment is present, that critical issues like presence of drug allergy and fire risk are assessed, and that the correct procedure is being performed for the right patient. Perhaps this could have been a recommendation of the committee? Certainly, many of the newly proposed changes are excellent. Some, however, may look good on paper but only add to the increasingly onerous administrative burdens of medical/dental practice. They do little, if anything, to improve patient care or outcomes. If there were data to support many of the proposed recommendations, they should be instituted. But since the data is lacking, efforts should be made by the ADA to support the research endeavor to identify what changes can be evidence based. In this way, our sedation and general anesthesia guidelines will benefit our patients and guide the dentist sedation/GA provider to optimal patient evaluation and care. The safe sedation of children for procedures requires a systematic approach that includes the following: no administration of sedating medication without the safety net of medical/dental supervision, careful pre-sedation evaluation for underlying medical or surgical conditions that would place the child at increased risk from sedating medications, appropriate fasting for elective procedures and a balance between the depth of sedation and risk for those who are unable to fast because of the urgent nature of the procedure, a focused airway examination for large (kissing) tonsils or anatomic airway abnormalities that might increase the potential for airway obstruction, a clear understanding of the medication’s pharmacokinetic and pharmacodynamic effects and drug interactions, appropriate training and skills in airway management to allow rescue of the patient, age- and size-appropriate equipment for airway management and venous access, appropriate medications and reversal agents, sufficient numbers of staff to both carry out the procedure and monitor the patient, appropriate physiologic monitoring during and after the procedure, a properly equipped and staffed recovery area, recovery to the pre-sedation level of consciousness before discharge from medical/dental supervision, and appropriate discharge instructions. This report was developed through a collaborative effort of the American Academy of Pediatrics and the American Academy of Pediatric Dentistry to offer pediatric providers updated information and guidance in delivering safe sedation to children. Watch Dr. Salatino have the EZ-IO Intraosseous Needle Placed!